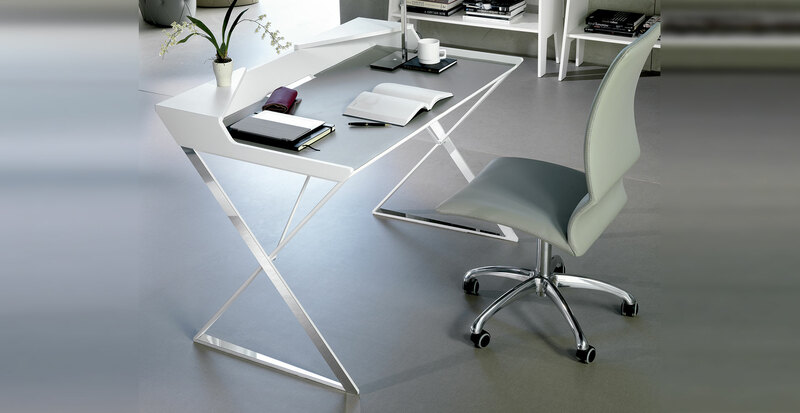 Desk with matt white (OP71) or graphite (OP69) painted frame and profile in polished stainless steel. Top in lacquered white (GF71) or graphite (GF69) embossed MDF. Leather pad as per sample card.